It got me to thinking about some other little changes I could make around the house. I’m starting a mini makeover series and will be featuring little projects to do around your home that make a huge difference. Obviously a total kitchen remodel will make a change but that’s not always on the agenda for everyone. 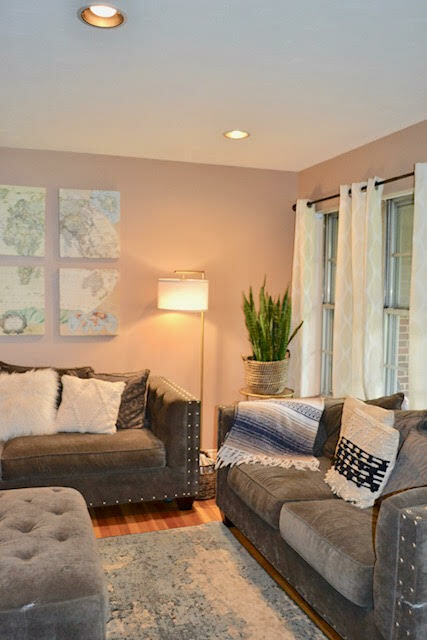 These little home changes can even be done by everyone-homeowners to renters! This little corner of our living room needed something, I had always had a table back there but it was starting to feel a little cramped. I’ve been in the market for a new floor lamp and wasn’t finding anything that I loved. 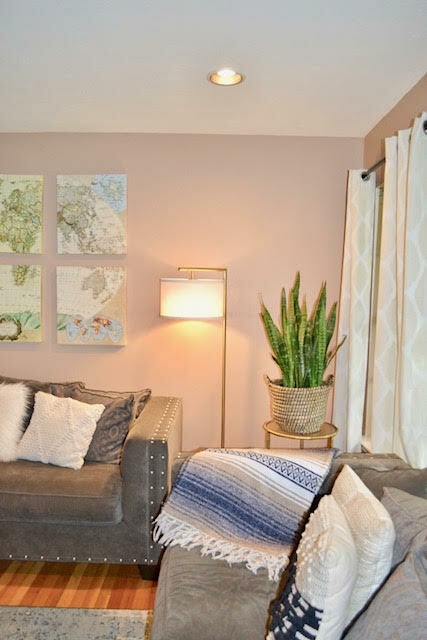 I found this adorable modern lamp on Brightech and decided it was the perfect way to change up that space while keeping it cozy enough to curl up on the couch with a book. I was pretty excited about the quick and easy change and how much it added to our space! Obviously I had to add a plant stand back there for my Snake Plant, you know this plant lady has to have some houseplants! 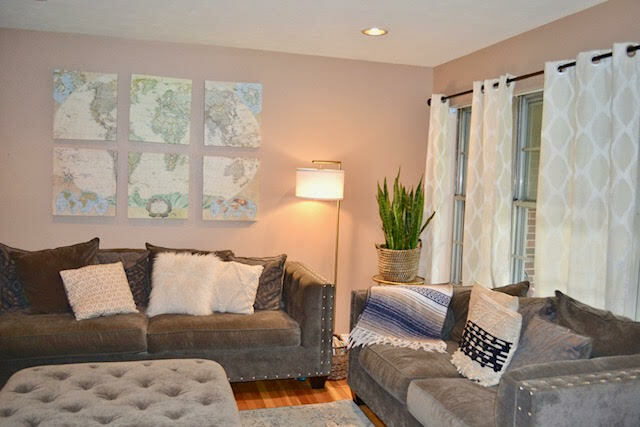 Now, I’m searching for other places in my home to add a new light fixture, I loved how this small change made such a difference, and the best part is that it didn’t break the bank! It’s the little things, ya’ll! Have you made any changes to your house lately? What are some other spots around the house that you would like us to feature?